Doyle's designs clockwise from bottom left: Fibonacci sequence, quilt design, two vertigo designs, the "accidental" Pythagorean theorem proof and another quilt design. When Forrest Doyle (’68 mathematics) chose mathematics as a major, he was confident it could take him anywhere he wanted to go. Doyle’s mathematics career has since ranged from computer modeling of sound to corporate financial planning to even an artistic retirement hobby. After graduating he worked for Pratt and Whitney Aircraft in East Hartford, Conn., developing their first computerized model of sound attenuation in acoustically treated rectangular ducts. Then, he worked in nearby Hartford at the Aetna Life & Casualty where he founded the Casualty Division Operations Research Group in Aetna’s property and casualty division, developing a mathematical model of how an insurance branch office operated for economic forecasting. He eventually moved to The Hartford Insurance Group and became the director of the Planning and Management Information Group in The Hartford’s actuarial department, which created corporate planning models for analysis of claims, revenue streams and cash flow. But none of his mathematical models could have predicted his next career move. After 25 years at The Hartford, Doyle retired and traded decades of corporate board rooms for something new: cutting boards. He took up woodworking as a retirement hobby, starting out with tables and desks and then using leftover wood scraps to make cutting boards. As the boards became popular at consignment shops and craft shows, Doyle made more intricate and artistic designs, often mathematical in nature. 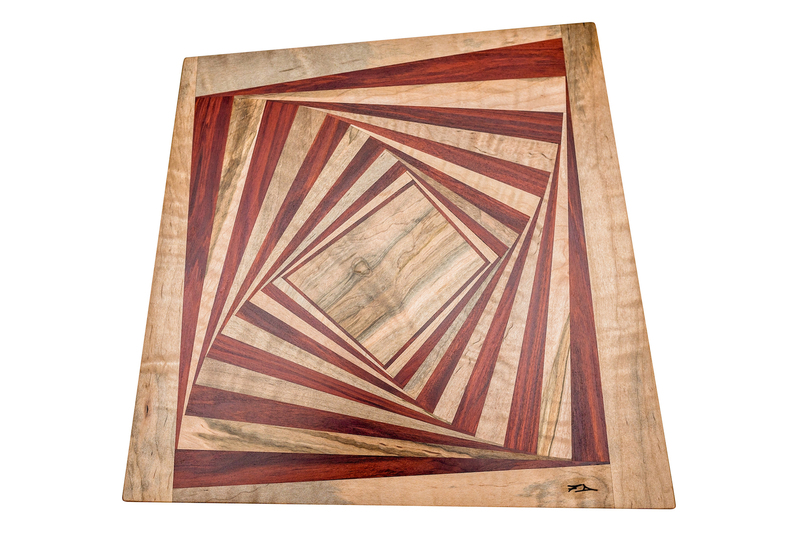 Doyle’s cutting boards are formed from various geometric patterns. His quilt designs were the first. Then he used triangular pieces to make vertigo designs, with triangles arranged to give a spinning effect. 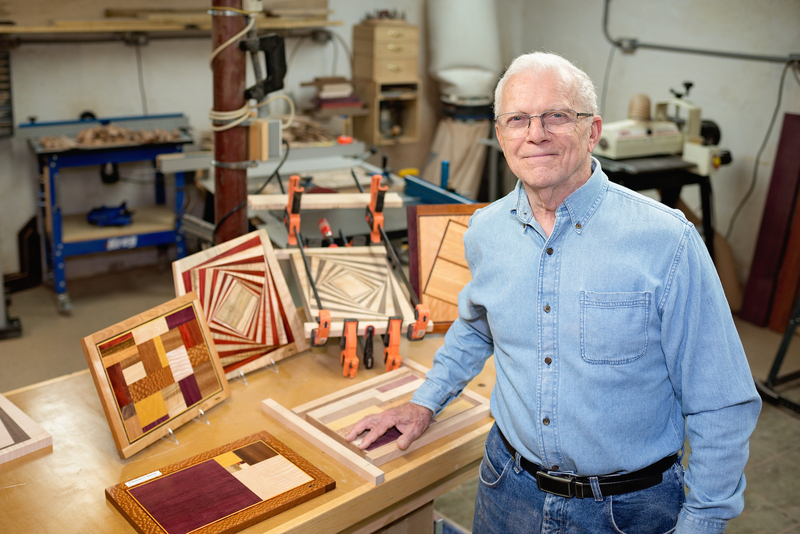 When a mathematics professor saw his designs, he suggested Doyle make Fibonacci boards. The Fibonacci sequence, found often in nature, follows an integer sequence in which each number after the first two is the sum of the two preceding numbers. Doyle began to incorporate the Fibonacci numbers in his cutting boards as sequences or spirals. Sometimes the math happens by accident. Once an engineer pointed out that one of his boards illustrated the geometric proof of the Pythagorean Theorem. Doyle hadn’t even been aware of it. Now he sells cutting boards at 15 to 20 craft shows per year in Connecticut.